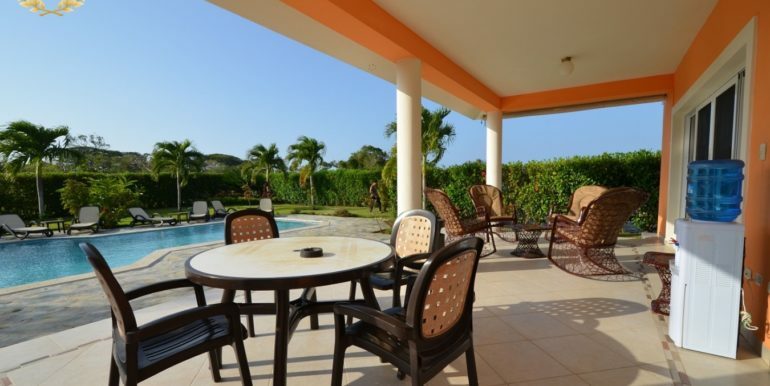 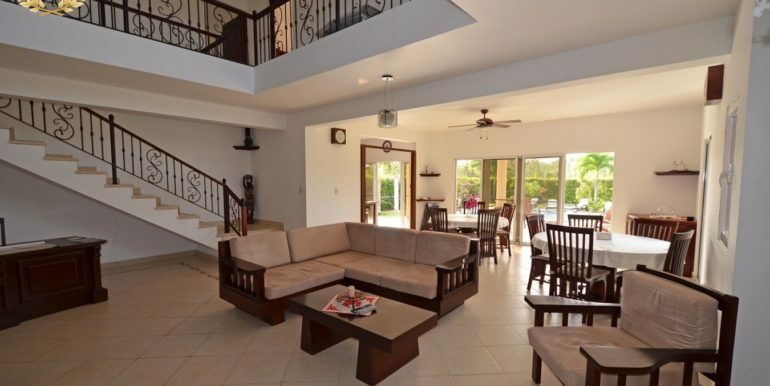 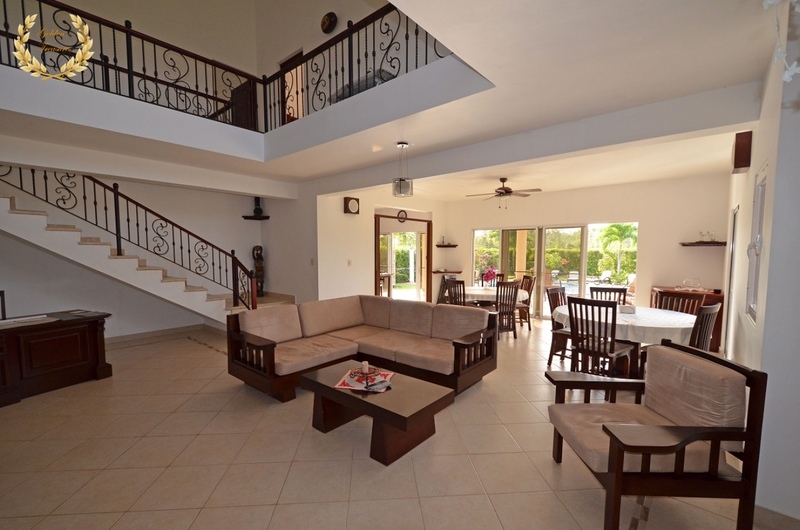 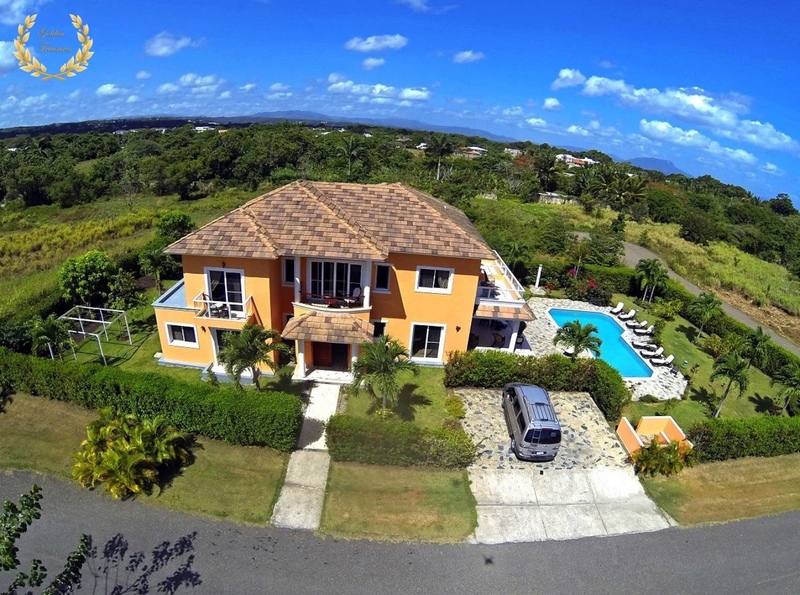 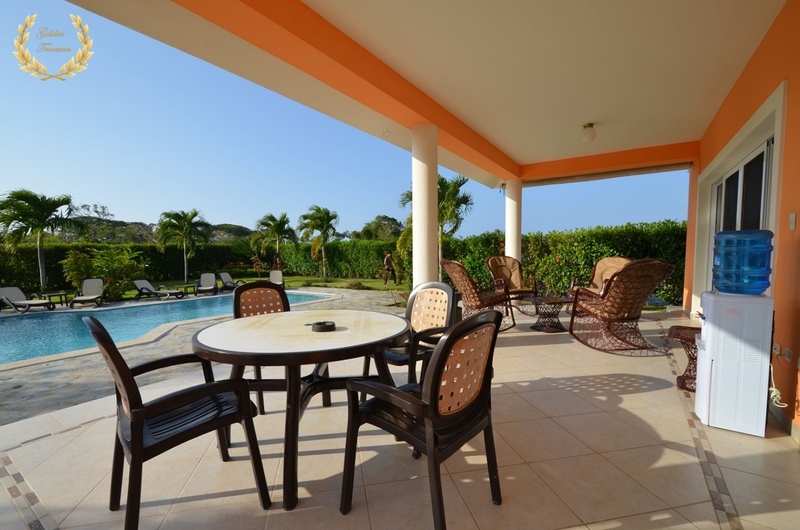 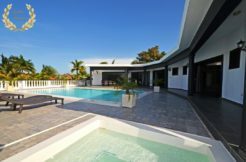 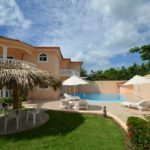 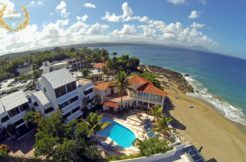 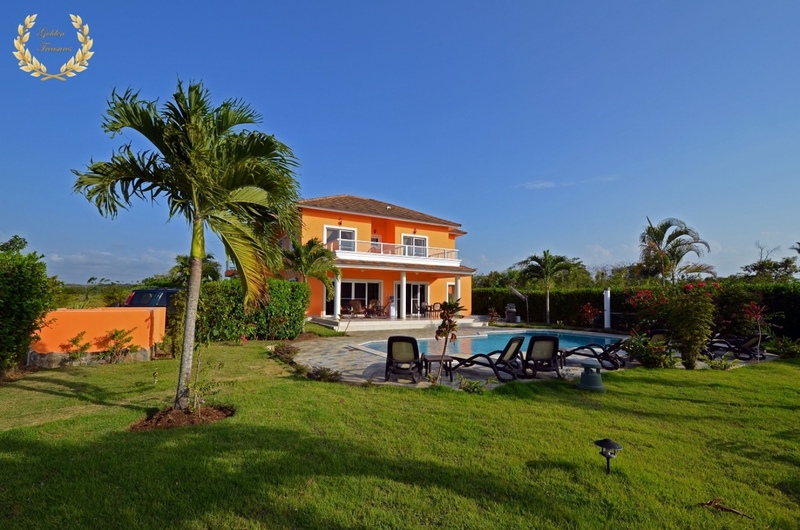 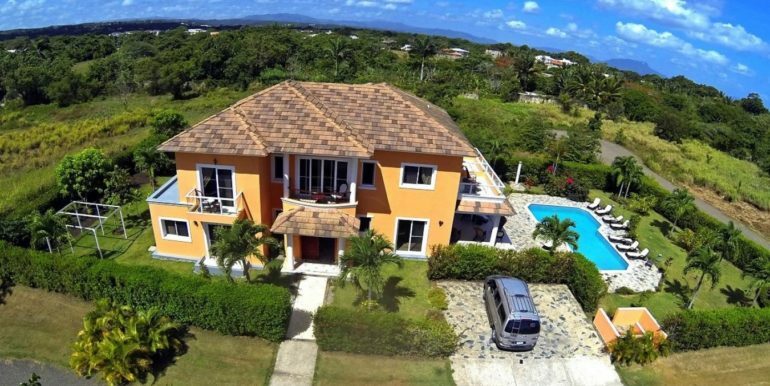 A sense of complete privacy is one of the most welcome features in any villa rental, and this fabulous 7 bedroom villa rental in Sosua accomplishes just that, in a very quiet setting. 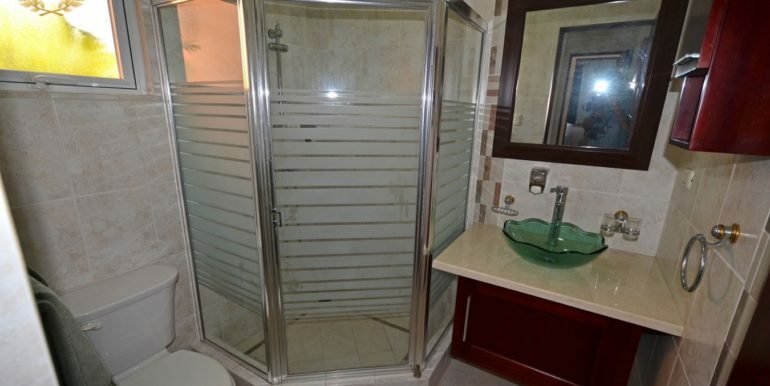 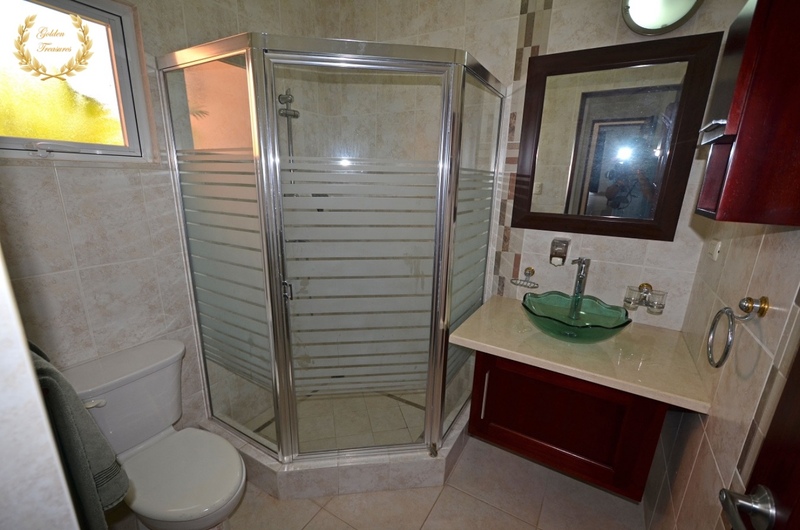 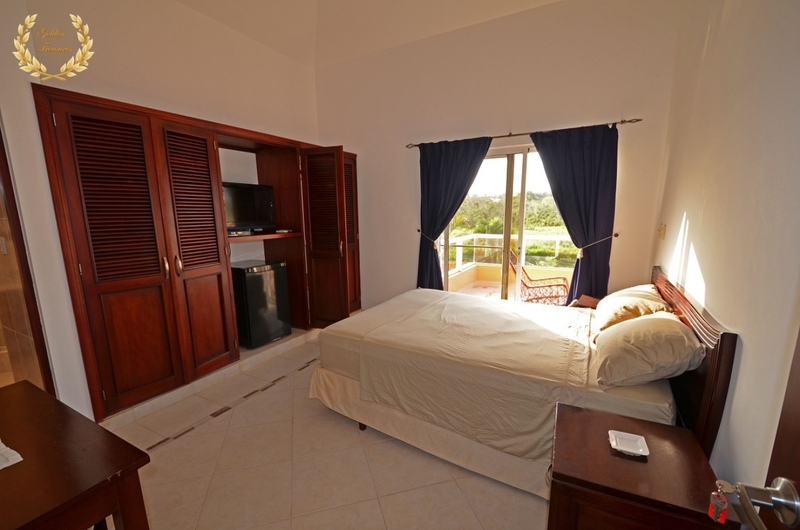 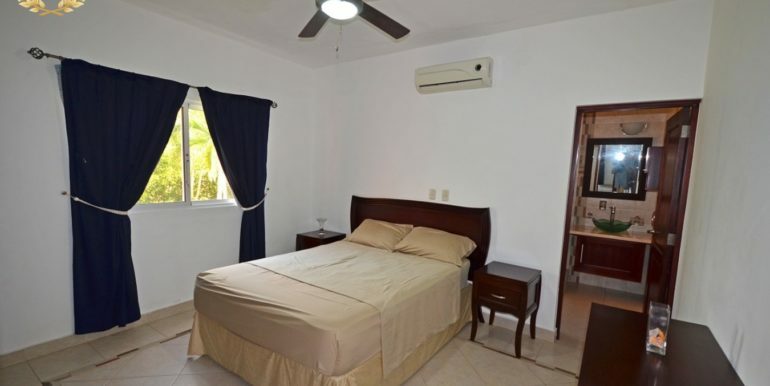 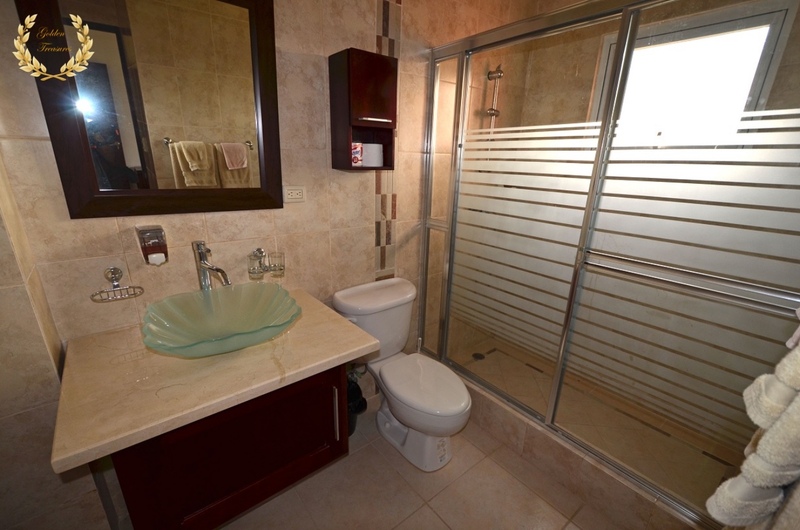 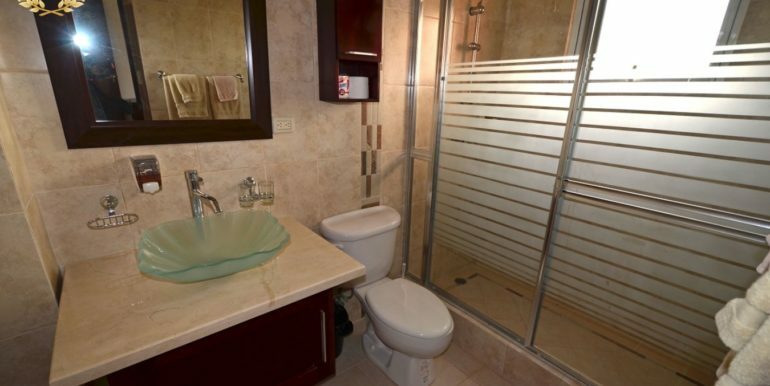 Each bedroom has its own bathroom, safe deposit box, TV set, mini fridge and A/C unit. 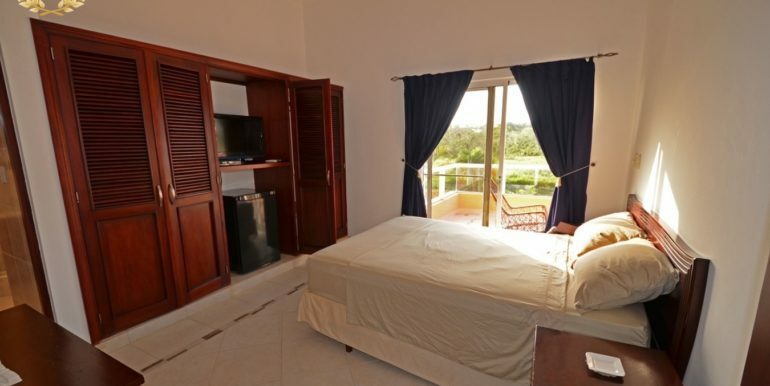 Beds are all king size, provided with linens and towels. 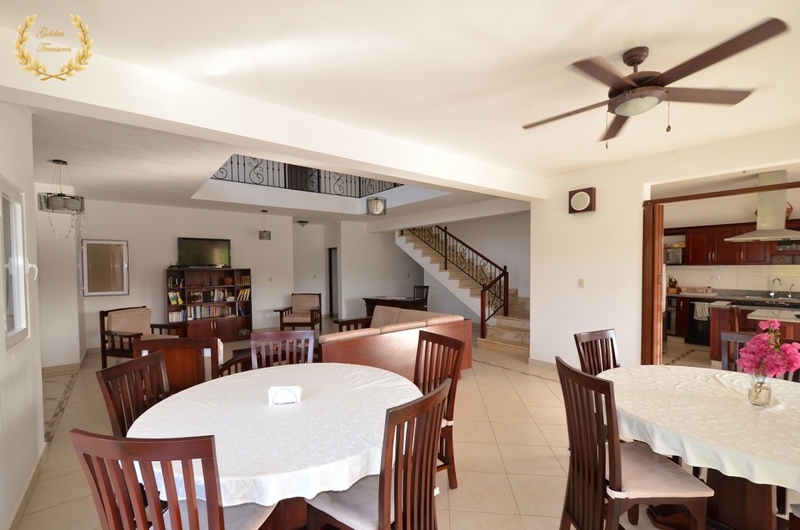 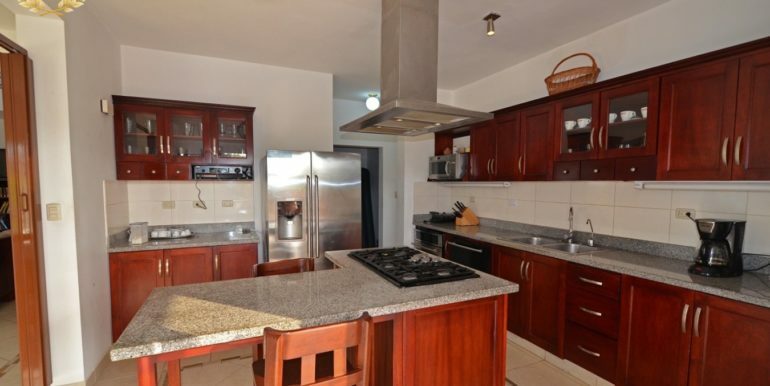 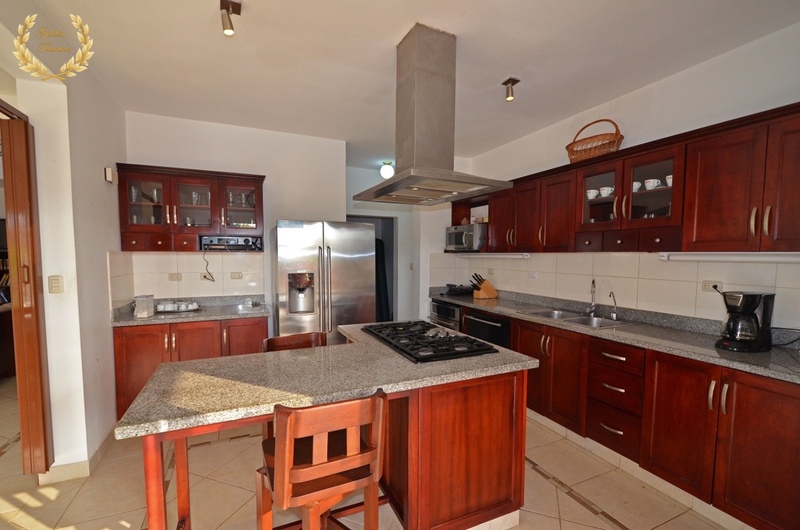 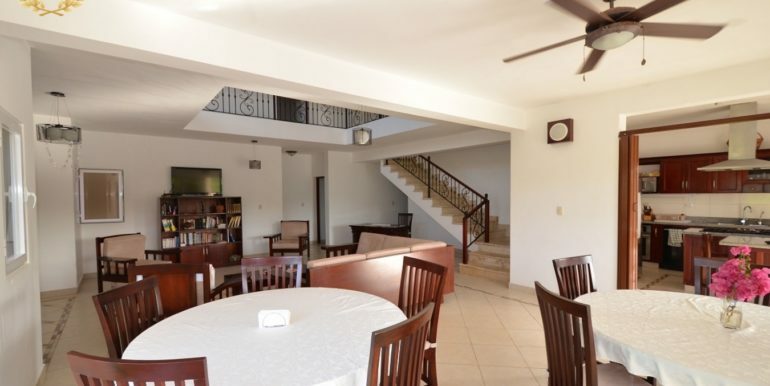 The first floor includes a dining area, living room, the terrace by the pool and the kitchen. 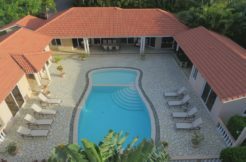 A BBQ area to its right faces the swimming pool and its line up of chaise lounges, all sitting by a lush green garden area with colorful flowers and palm trees. 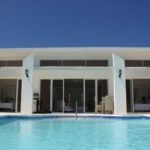 Two of the bedrooms include access to the second level balcony overlooking the pool area and garden, and the mood at night is quite vivid with garden lighting projected towards the palms. 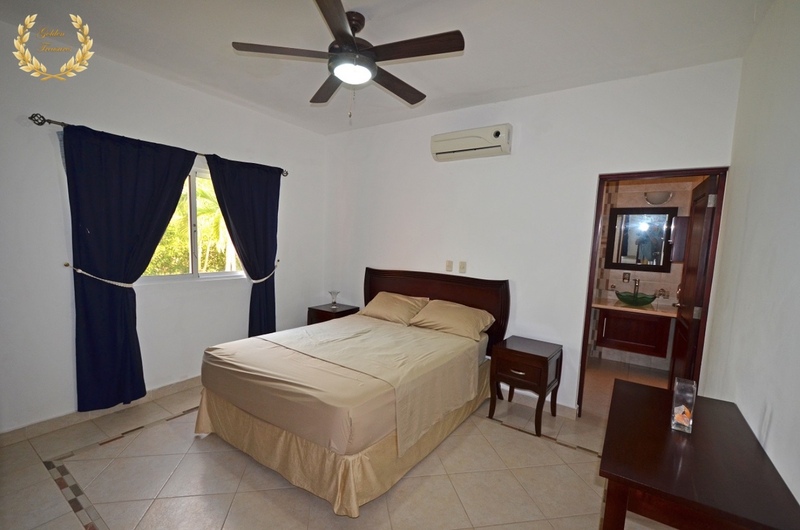 The rental includes power back up, Internet WiFi, Cable TV, daily maid service and concierge. 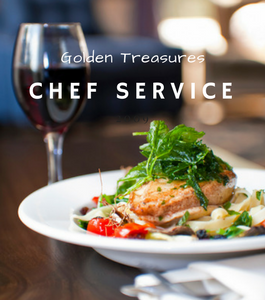 Optional private driver with van and private chef are also available at fair rates. 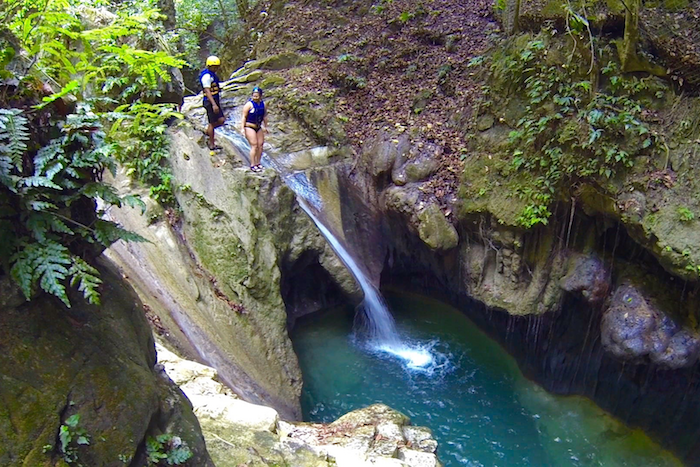 Scroll down to view video.